Plus, is Vernon Hargreaves' size a concern? By Asher Dark·	 4/1/2016, 10:13 a.m. 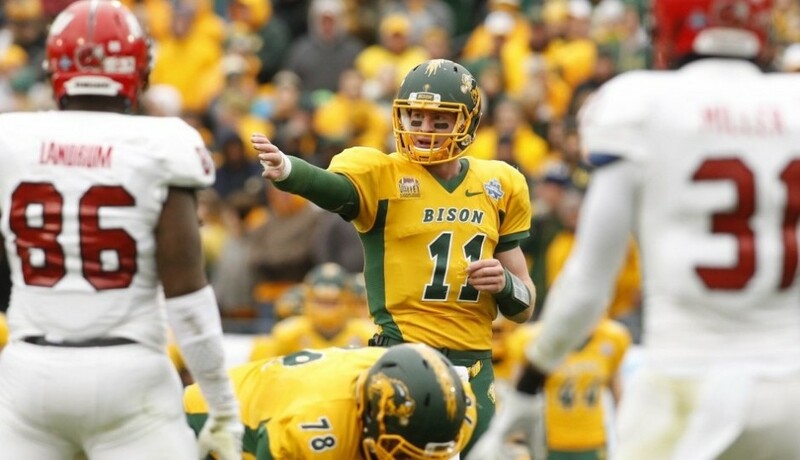 Unless you’ve been doing some spring cleaning on the rock you’ve been living under lately, you know the Eagles are in the market for a quarterback, the top two prospects at the position are Carson Wentz and Jared Goff, and that the Eagles have recently been linked to both. Amid all these rumors and reports, NFL.com’s Daniel Jeremiah and Charles Davis held a conference call with the media yesterday, and they discussed the quarterbacks at length, as well as a few other prospects of interest for the Eagles. At one point, Jeremiah was asked point blank about which quarterback he prefers for the Eagles. Jeremiah then discussed quarterbacks who the Eagles could pursue in the later rounds. Charles Davis agreed with Jeremiah’s take on Allen, and added another prospect the Eagles could have interest in in the middle rounds. Of course, Ezekiel Elliott eventually came up, particularly in regards to how he’d fit in Philadelphia. Jeremiah was then asked who he would take if he were the Eagles and both the Ohio State running back and Notre Dame tackle Ronnie Stanley were on the board. Earlier in the conference call, Jeremiah mentioned a couple examples of Vernon Hargreaves’s size hurting him in college, but he wasn’t all down on Hargreaves. He cited the shifting paradigm going on with NFL defenses as a reason the Florida cornerback could still pose tremendous value, despite his height.